Why workers at non-profits should organize against exploitation. A workshop about organizing workers in the service industry. 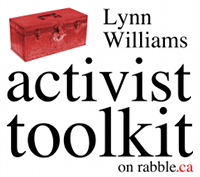 A guide to online alternatives and Internet security for non-tech-savvy activists. This workshop covers finding legal aid for activists. This guide covers how activists can use the media to their advantage.